Wheel designs have a subtle but significant effect on vehicle aesthetics. 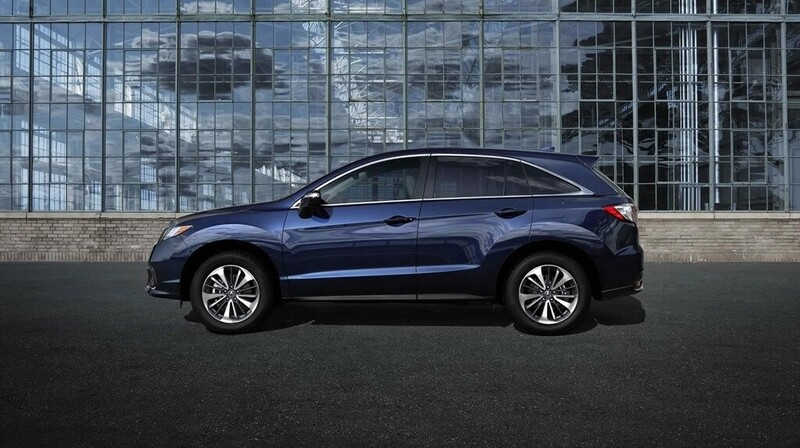 The large wheels on the RDX help to distinguish this vehicle while contributing to the sleek and sophisticated overall look it succeeds at cultivating. You simply need to press a button on your key fob and the tailgate will open for you automatically. This is especially handy when you have an arm load of gear and don't want to fumble with locks and handles. These headlights further establish the RDX as a sleek vehicle, but they also improve visibility for drivers and contribute to the RLX's impressive reputation for safety. The 2018 RLX is the rare vehicle that uses bold lines to contribute to a cohesive design. Sharp angles and deep accents give this crossover a distinctive look, but they still blend seamlessly into the softer and more subtle features of the sculpting. The design of this crossover does more to serve the real needs of drivers. For instance, rain-sensing wiper blades activate the minute the windshield gets wet in order to prevent any loss of visibility. The available foglights help to cut through darkness and wet weather to give you a clear view of the road. And heated side mirrors melt the frost and snow off quickly when you are getting ready to go in the mornings. In many innovative and exciting ways, the 2018 RDX upgrades every aspect of your travel. Thanks to impressive tech features and other premium touches, this model stands above other midsized crossovers. We encourage you to explore the inventory at our dealership, and count on us to make financing as easy as possible. If you would like to get more information, please contact us.